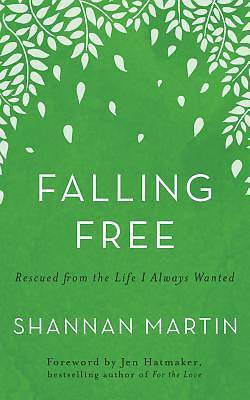 Shannan Martin had the best life she could imagine. She lived with her husband and three adorable kids in a cute little farmhouse on six rambling acres and had enough money, plenty of friends, a great church, and a safe, happy existence. Then the bottom dropped out when they lost their jobs and God called them to something radically different. Their world shifted to a small house on the other side of the urban tracks, an income on life support, a challenged public school, and the county jail (where her husband is chaplain). And yet their plunge from "nice, safe, and happy" was the best thing that ever happened to them.